NBCA Press, Inc. - Good Morning, God! Beginning your day with God can really make the day rich and meaningful, not to mention successful in ways you never dreamed possible. The time you sow in the morning is a precious seed that brings forth a beautiful day, filled with strength, joy, and a love made sweeter because it begins with the One who loves you best. Good Morning, God! 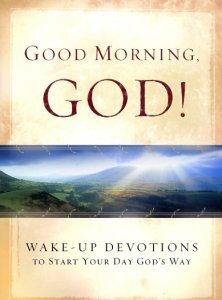 is a wonderful morning devotional filled with inspiring scriptures, true-to-life stories, and encouraging reflections to help you fulfill the promise of each new day that your loving heavenly Father has given you to enjoy. Start Your Day Right. Start Your Day God's Way!